...if that's what you really want. The famous reality show couple are set to debut their unisex fragrance just in time for Valentine's Day. It will be titled "Unbreakable" and will hit the market on February 12, just in time for V-Day. Khloe recently told E! Online, "He’s always wanted a unisex fragrance! It took a long time to create what we both wanted and would wear and love, and we found the perfect one." 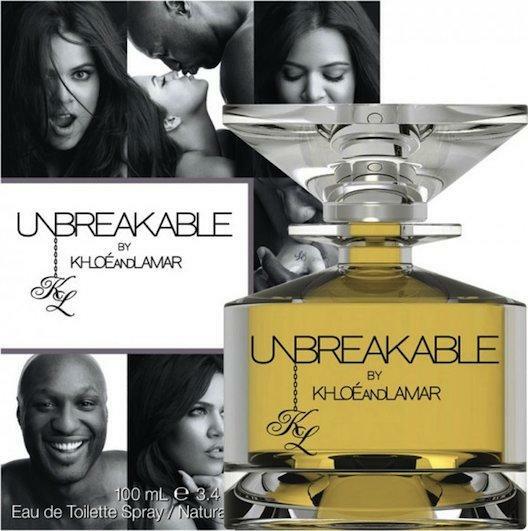 Unbreakable will be available Perfumania stores and has the scent features chocolaty notes that work for both genders.